A giant update: plans and places. Gosh, I've been a horrible blogger lately. After changing my mind countless times, I've finally decided to extend my stay in Korea for one more year with my current school. There was about a month period that I confused just about every person close to me, telling them of my certainty for either staying or going and then changing my mind literally days later. My pros and cons lists were enormous, but what it ultimately came down to was one thing- Is this settled, safe feeling something to be embraced or is it a sign of just that, settling? I tend to avoid commitment and safety and prefer a life full of changes, generally on a yearly basis. For good or for worse, it keeps things exciting. On the other hand, it prevents the deepest and most meaningful of experiences, relationships, feelings, etc. from emerging above that surface that I often linger upon. So let it be said, I'll be here another year with plenty more to explore. The ever-optimistic and politically-correct train sign. 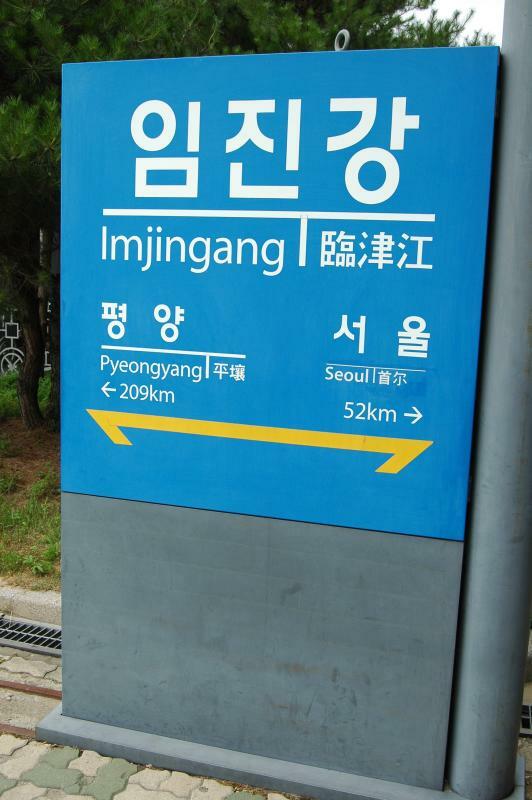 Note that no trains actually run to Pyongyang from Seoul, or vice versa. I'll spare you the history lesson about Korea's DMZ - but ROK Drop's post is detailed, accurate, and full of win. Suffice it to say that the sites you'll see are designed to give you the South Korean version of history. Propaganda is present as you might expect, but manageable.